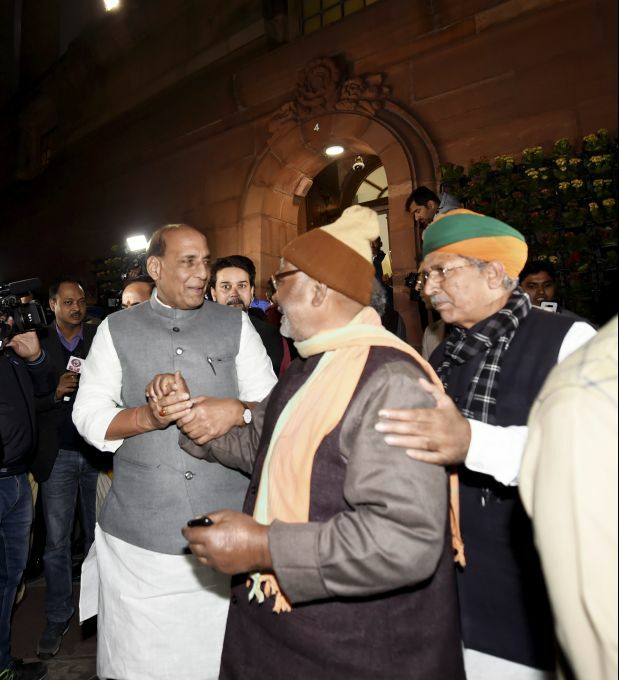 New Delhi: Home Minister Rajnath Singh being congratulate by other Mps after Lok Sabha passes the bill to provide 10 per cent reservation in jobs and educational institutions to economically backward section in the general category, in Lok Sabha in New Delhi, Tuesday, Jan 8 2019. 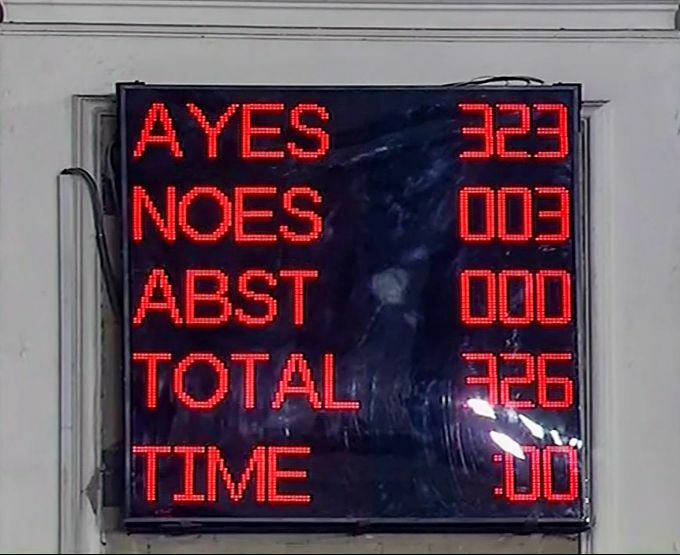 New Delhi: A screen displays the results of voting on the bill to provide 10 per cent reservation in jobs and educational institutions to economically backward section in the general category, in Lok Sabha in New Delhi, Tuesday, Jan 8 2019. New Delhi: Delhi Chief Minister Arvind Kejriwal meets Andhra Pradesh Chief Minister N Chandrababu Naidu during their meeting, in New Delhi, Tuesday, Jan 8, 2019. 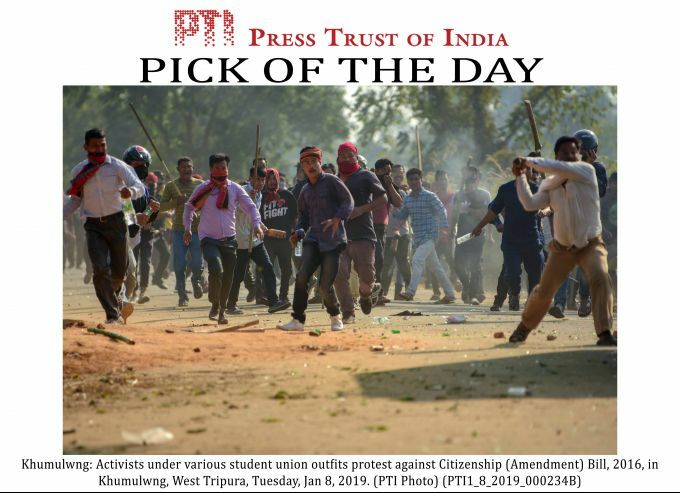 EDS PLS TAKE NOTE OF THIS PTI PICK OF THE DAY:::::::: Khumulwng: Activists under various student union outfits protest against Citizenship (Amendment) Bill, 2016, in Khumulwng, West Tripura, Tuesday, Jan 8, 2019. 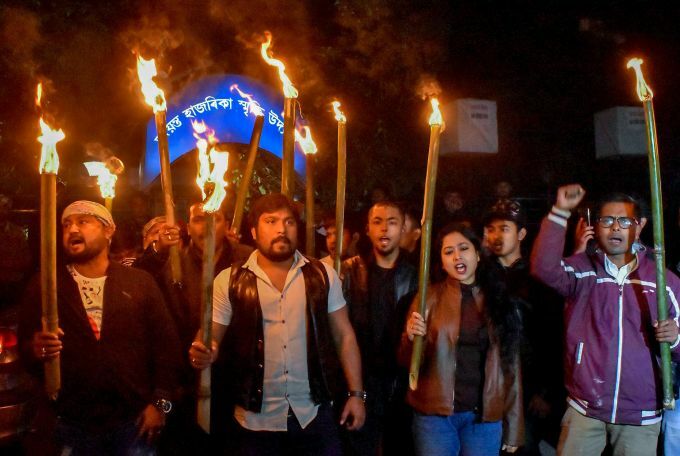 Guwahati: Activists take out a torch light vigil in protest against Citizenship (Amendment) Bill, 2016, in Guwahati, Tuesday, Jan 8, 2019.